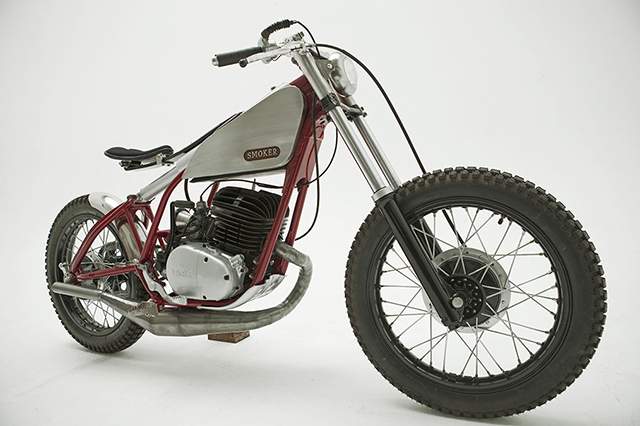 Crocker motorcycles are something else. The styling is amazing, while still having an air of functionality about them. The main problem you will find with these bikes is the rarity, which in turn boosts the price beyond the reach of mere mortals. Those lines though, that is the look you want, so how do you get it? 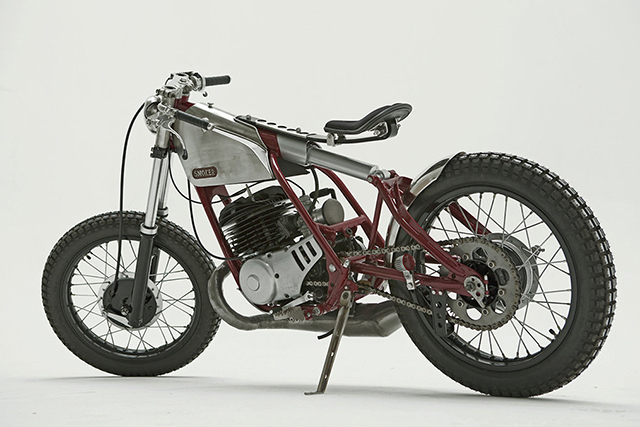 Utopian Customs have come up with an answer, producing their own homage to the Crocker marque, using a 1979 Yamaha and their ingenuity to bring this speedway bike to life. Which in turn is something else in itself. 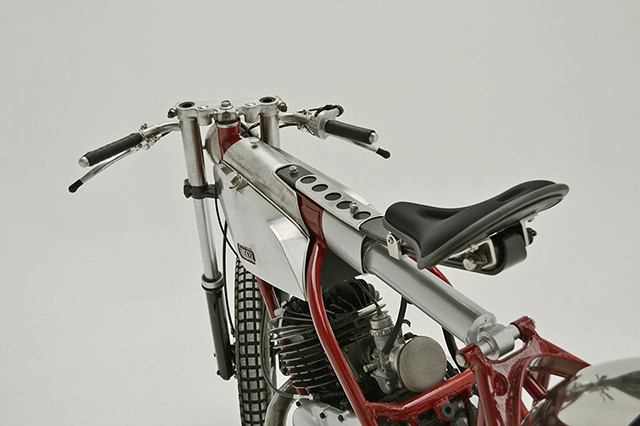 Inspired by the picture of a 1935 Crocker Speedway bike, Pablo Luzzi and the Utopian workshop decided on a build which would ‘capture the simplicity and no nonsense look’ of the legendary machine. 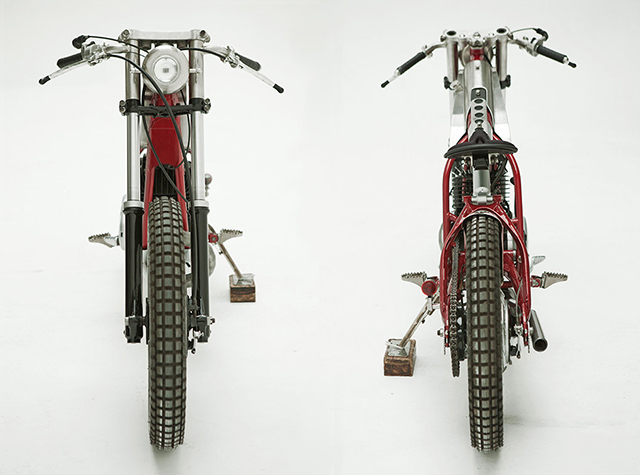 The bike to be used on the build was to be a two stroke enduro bike, as it had the right ingredients of being fast, nimble and loud. 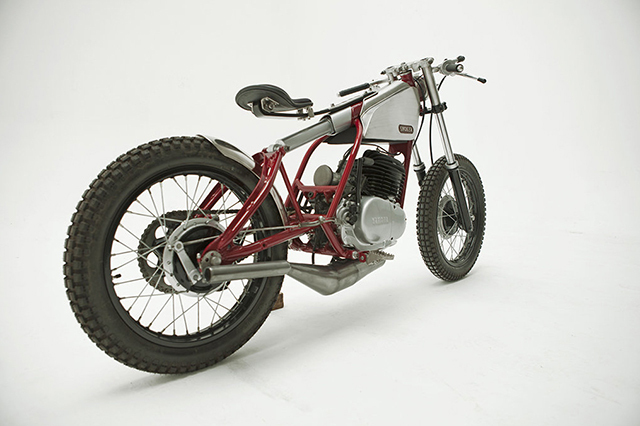 A DT250 was sourced, and the build began. 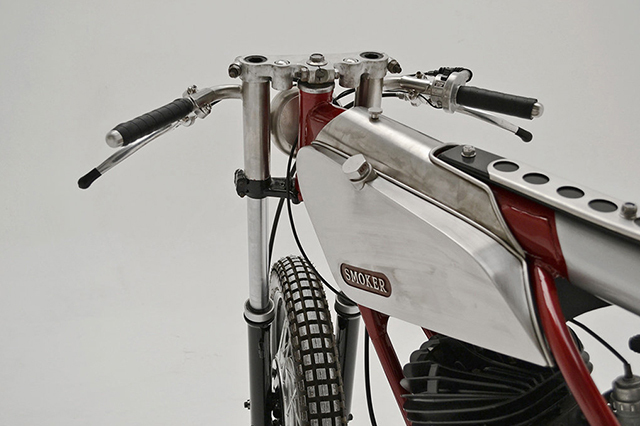 One notable aesthetic aspect of the Crocker speedway machines were the fuel tanks. 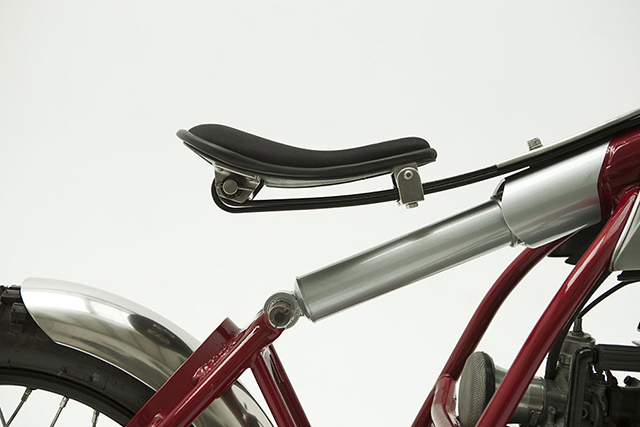 Set low to keep the centre of gravity down, the same look has been achieved by handmade stainless steel covers slung under the frame, which cover the bike’s actual sheet metal fuel tank. 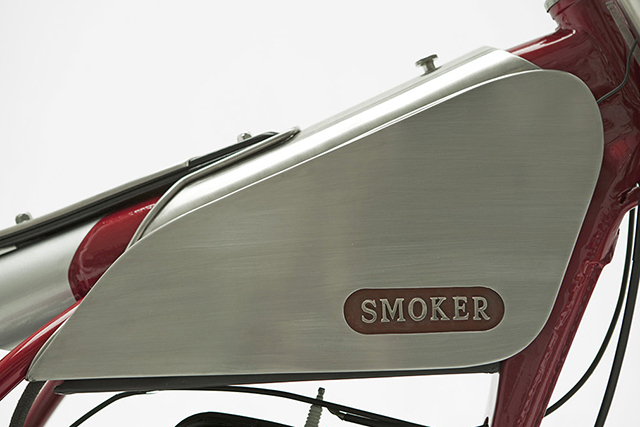 The word ‘smoker’ was laser cut into the covers, painted red and distressed to give it that old timey look. The type itself is copied from the Crocker V Twin model of 1939. As for the rest if the bodywork, you notice a lack thereof. Speedway styling means less is more. 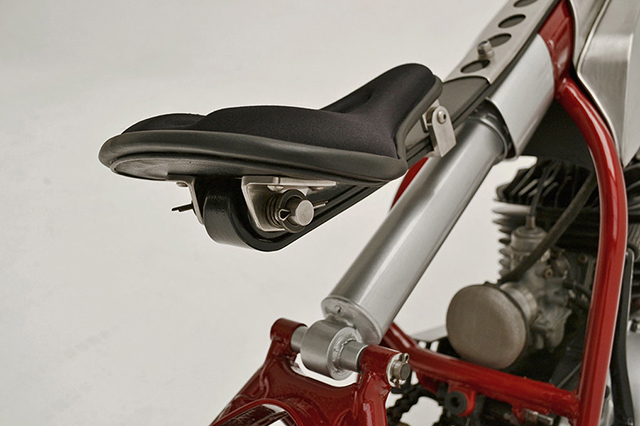 The bike keeps it’s original mono shock on the seat, with springs just to give a little comfort to the gel seat. Mounted on the rear swing arm is the tail light, literally fished from a dumpster and recycled as an automotive component. 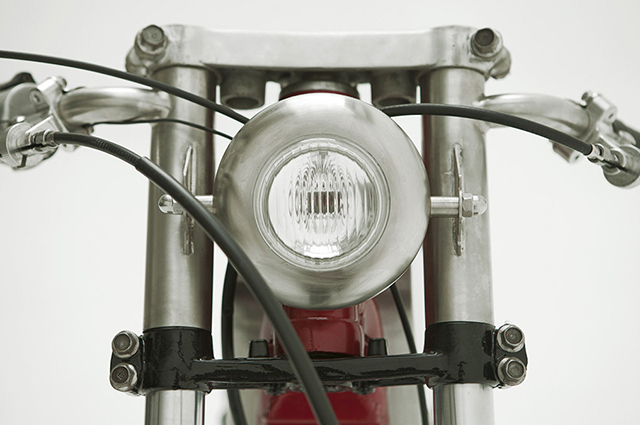 The custom fork covers and handlebars are stainless stalk units, produced in house at Utopian. 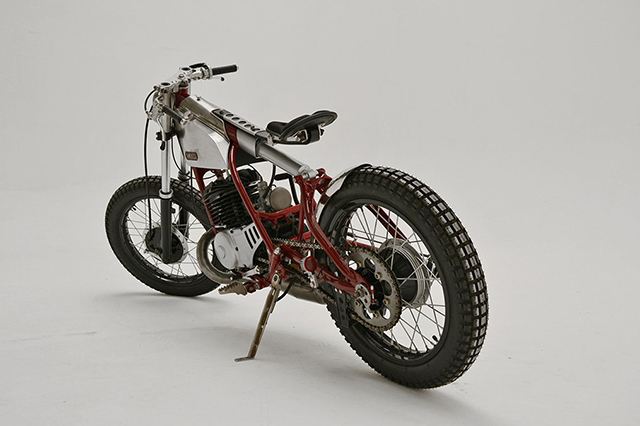 All that show is no good without go, so the Yamaha 250 was stripped down and completely rebuilt. 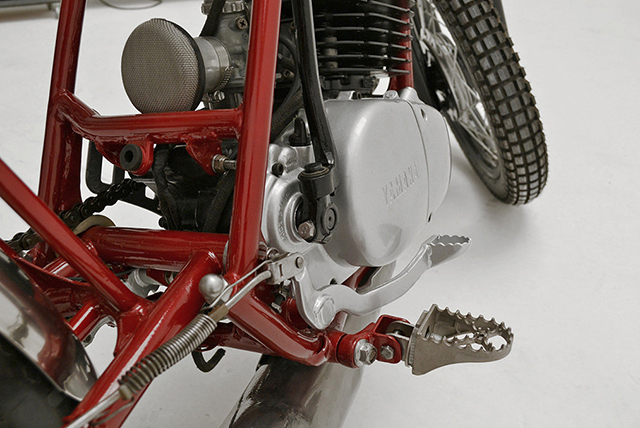 A velocity stack sits in place of the airbox, and a new exhaust system was fashioned up which runs under the bike to keep with that speedway styling that inspired the initial build. To round out that look, IRC Trials tires were used in the build. 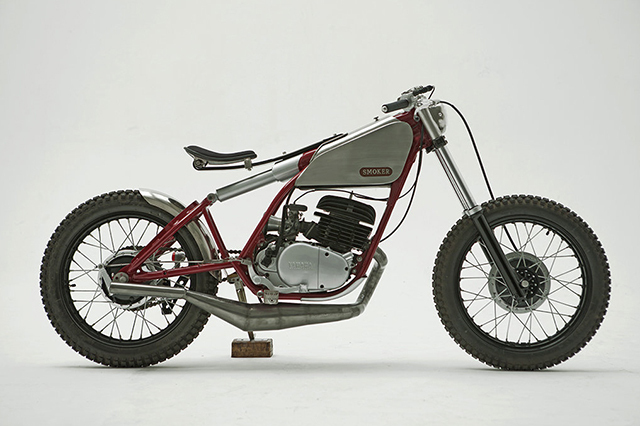 From a chance encounter with a picture of a legendary motorcycle, the Utopian Customs workshop has produced the equivalent of a standing ovation to the Crocker brand of motorcycle. 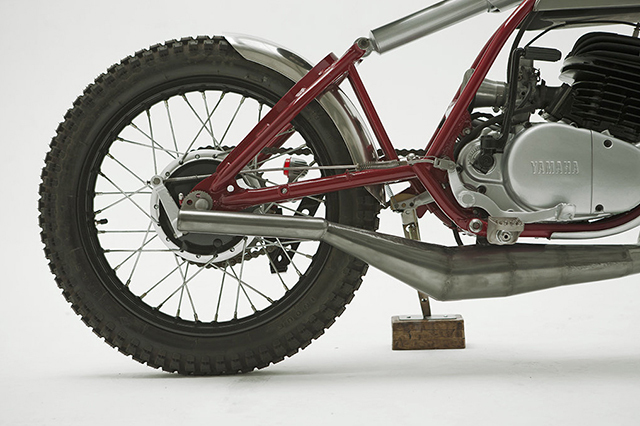 The detail put into the build, right down to that ‘oh so sweet’ rear fender, shows the dedication put into the build. From the front to the back, you know where it’s at with this bike. It’s not for everybody though, as Pablo puts it: ‘Definitely not for the cruising types or anyone who doesn’t enjoy second hand smoke’.